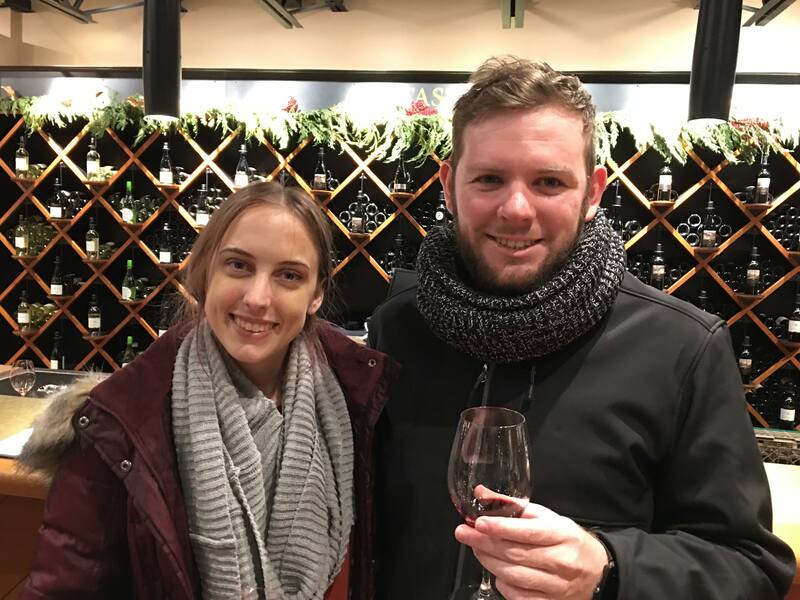 After a few snowball fights and frozen fingers we decided to take in the best of what the Okanagan had to offer and headed to the wineries nearby to take in the flavours and beauty. Also how can an Australian say no to a drink? The wine was amazing and the standout was absolutely the ice wine served in a chocolate cup! Hopefully I’ll be able to try a few more samples before we leave. 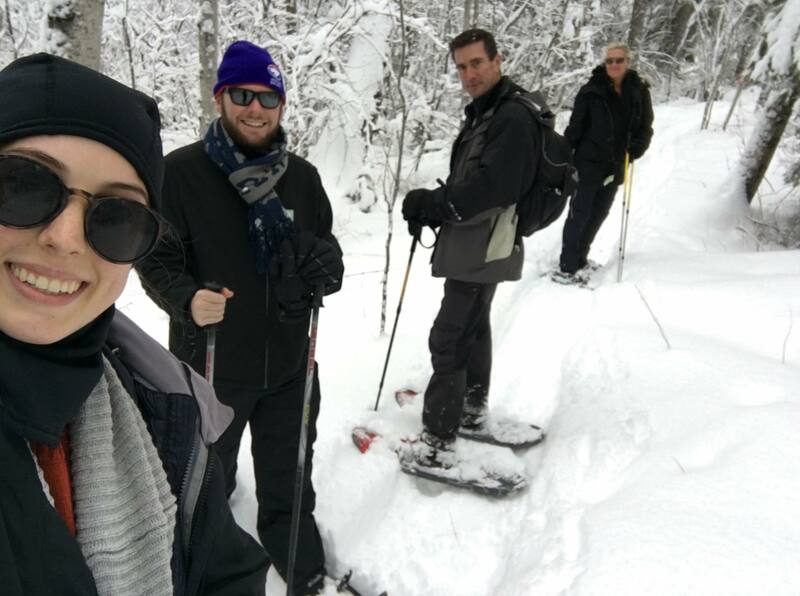 The next day we rugged ourselves up again and headed up Crystal Mountain for a true Canadian experience! Once we arrived we hired a pair of showshoes, grabbed a map and set off. The snow was about a foot deep and we were able to be dunked under a pine tree by surprise! 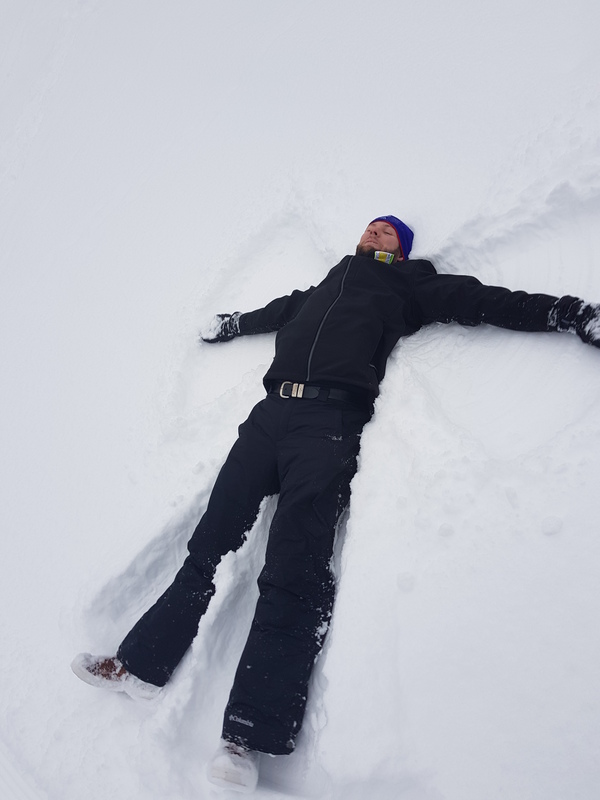 After the hike we were pulled in by the snows softness and made our first snow angels. I have a feeling more will come as the trip continues! Tomorrow we are heading ice fishing and my excitement levels are starting to peak!